At times, predator hunting can be challenging, but the rush of adrenaline that occurs when a predator is on his way into your set up is unparalleled. 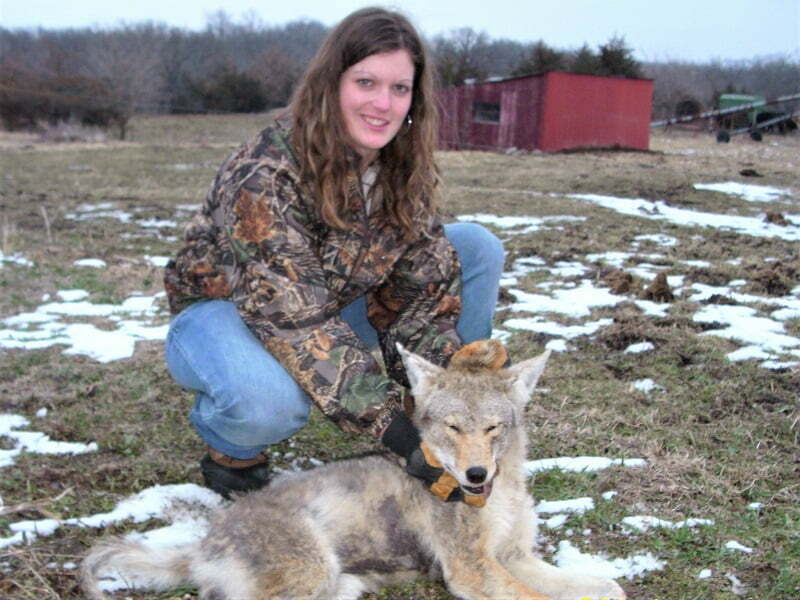 Coyotes are ruthless hunters; a recent study awarded coyotes the second biggest attributor to deer mortality. Thinning out predator pressure gives other wildlife species a chance to thrive and multiply, so if you haven’t before, grab some calls and lure in some predators.. There are a few things you can do this year to increase successful encounters while predator hunting. 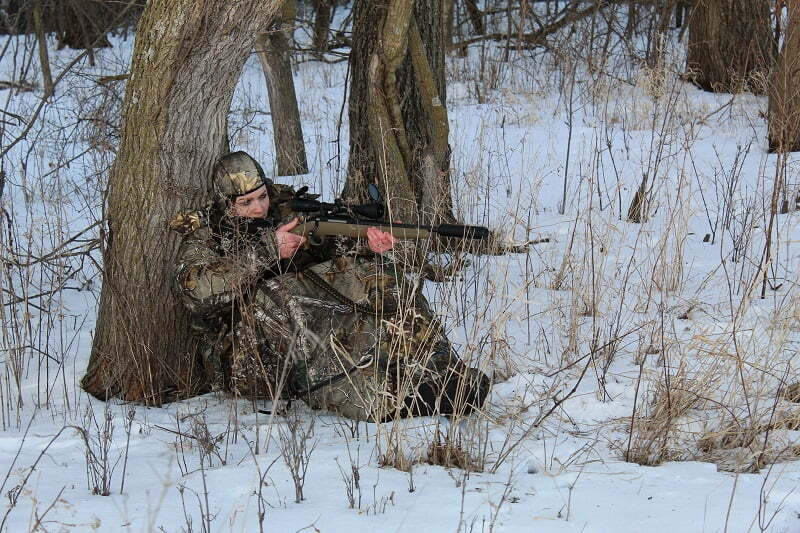 While hunting in frigid conditions, using an IWOM suit will help hunters safely extend hunting time. One of the easiest ways you can increase success is by expanding the calendar days in which you hunt. By starting predator hunting in early autumn, or on the first few days that the season opens for your area, you can spend a few more days and extend your season. The same is true for hunting through the year and up until the season closes. Hunting the entire legal season will help shift the odds in your favor and expose you to all kinds of elements which may allow you a chance to harvest a predator. For instance, as the season nears to the end, days turn bitterly cold. On the coldest days of the year, animals require more calories to stay warm. When predators are hungry, they are less cautious and come in to your predator calling easier. Do not miss out on harvest opportunities by staying inside! Hunting through the cold months and up until the end of the season will allow you to spend more hours pursuing predators. The end of the season can be as exciting as opening day. .. just make sure you are safe and do not risk getting too cold. Predator hunting should be in an area that predators frequent. Checking river banks, creek beds, and snow for visible tracks provide insight as to the types of predators prowling the area. If you are not sure if there are predators close, venture outside a few evenings. Coyotes are vocal creatures and often can be heard howling. Taking note and narrowing the area that coyotes travel will help you when setting up in the future. If you do not hear any howling, try howling and see if any coyotes answer. Scouting and listening are two of the easiest ways to determine if coyotes are present in your intended hunting area. Do not get discouraged if you do not hear or see signs of coyotes. In places where coyote populations are lower, this provides food and habitat for other predators, such as foxes. Stand locations for calling predators require careful consideration. There are a lot of things we cannot control about the terrain and nature, and often times the perfect set up is not obtainable. When possible, use the land’s topography to increase your predator hunting success. 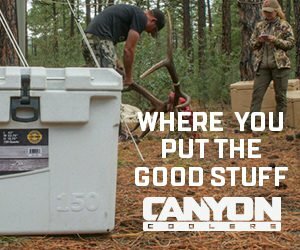 Calling in an area with a physical blockade helps keep predators from coming in behind you and busting your location before you have the opportunity to harvest them. Physical blockades, such as a river, or deep coulee can also be used to keep coyotes and foxes from circling downwind and catching a whiff of you. In contrast, sitting in a high physical location gives you the advantage to see approaching predators. Some hunters set up calling locations on the tops of hills in hopes of viewing a predator coming in to check out distress calls. Keeping the sun at your back will also give you an advantage and prevent predators from easily seeing you. As a predator hunter, study the terrain you will be hunting and use hills and valleys to your advantage. 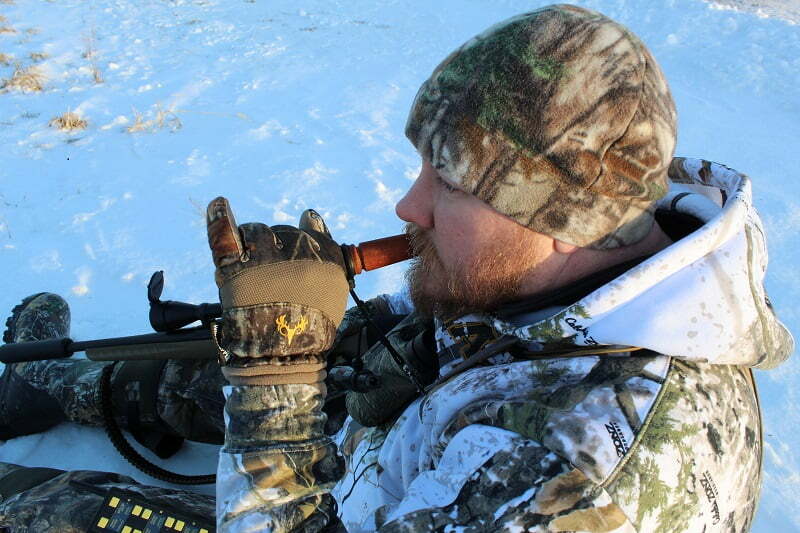 One thing often underestimated is the entrance and exit strategies hunters use. The natural terrain often provides necessary cover. Walking in dry creek beds help hide our presence and hills provide cover to enter your stand. However, crossing in an open field is quite difficult. Using the cover of night provides will help minimize your intrusion for early morning hunts. Hunters should also practice quietly walking to and from locations. This includes limiting talking, refraining from slamming doors, and minimizing activities that create foreign and unnecessary clamor. By discretely entering your location, you minimize chances of scaring off predators. While leaving, it is very possible that a coyote is on his way in to check out your calling. I cannot count the number of times when I started exiting my set and did a final glass only to be surprised by a predator heading towards my call. By exiting quietly with caution, you will reduce the detection of your presence and increase your chances of seeing a predator you might have missed. Bobcats have some of the sharpest eyes. It seems if I even think about moving, their finely honed eyesight will catch you. Coyotes and foxes are similar, too, and will catch you moving your hands or getting your gun into shooting position. When calling, be as still as you can, and use a shooting stick or bipod, or a tree to hold your gun as you wait for the predators to come in to your calling sequences. Shy predators and bobcats will take a while to come into your calling, so staying a little longer in one location might pay off. At times, coyotes can be shy and are harder to call into shooting range. Adding a few yips and howls will encourage coyotes to come closer as coyotes frequently vocally communicate. Changing up your calling sequences and switching distress calls is another way to pique the interest of a predator and lure it out of cover and close to your location. The next time you are not having success, try switching up your calling strategies. It may be just what you need to harvest a predator. 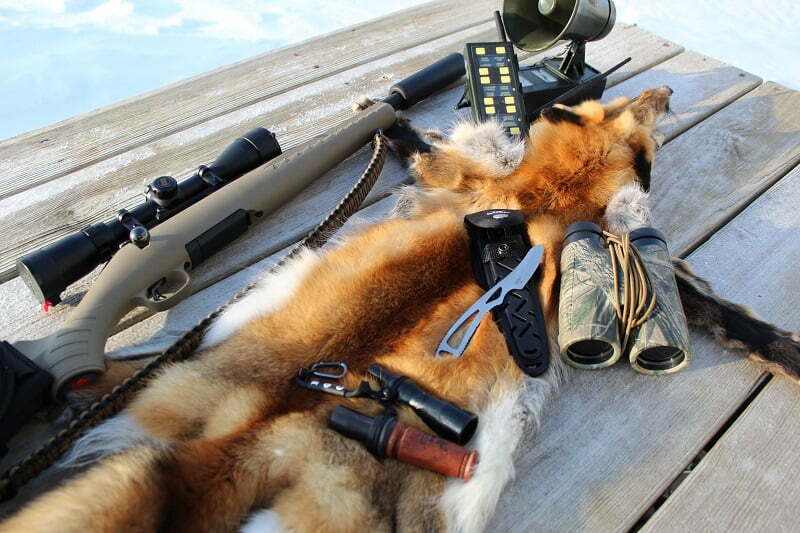 Scent control is essential when hunting predators such as foxes and coyotes. They constantly use their keen sense of smell to detect their next meal. Be careful, if they catch the offensive smell of human odors, they will instantly turn and vacate the area. Consequently, hunters need to perform necessary precautions to eliminate and cover human scent in the field. One option of scent control is to use various scent eliminating sprays on clothing, skin, and gear before entering a field or timber. Some sprays use heavy metal toxicity to kill and inhibit bacteria growth, which produces body odors. Metals such as aluminum, silver, zinc, magnesium, and sometimes even copper are used to control bacteria. Ozone machines are also common among hunters. Ozone machines use ultraviolet light to charge the air and it creates ozone which is triple bonded oxygen molecules. These molecules do not hold together very well and they very easily bond with other organic molecules. This changes the human odors produced and in turn eliminates some odors and bacterial growth. Scent-free toiletries for pre-hunt grooming can be used to help with grooming without using artificial scents that predators may smell. Some of these toiletries use a change in PH to kill bacteria and discourage growth. Cover scents can also be incorporated into scent control programs. Artificial sprays or even fox urine placed downwind will aid in masking your human presence to approaching predators. Using scent control will help mask your presence and allow you to see more predators in closer proximity to your hunting stand. When a predator comes into your calling, it is important to be able to “close the deal”, which at times requires shooting from uncomfortable angles or making quick shots at a moving target. Being comfortable and familiar with your shooting capabilities and your firearm is essential for such opportunities. Knowing the performance of the ammo, gun, and elements can help you while making long shots. Not all ammunition shoots the same, and it is important to know how your gear operates. Knowing your bullet will drop a certain amount of inches at specific yardages is necessary for long shots. Long shot can be executed with precision, but knowing the capabilities of your gun, ammo, and your shooting capabilities will help you know how to make those difficult shots. One of the best things a predator hunter can do is target practice in preparation for shot opportunities. 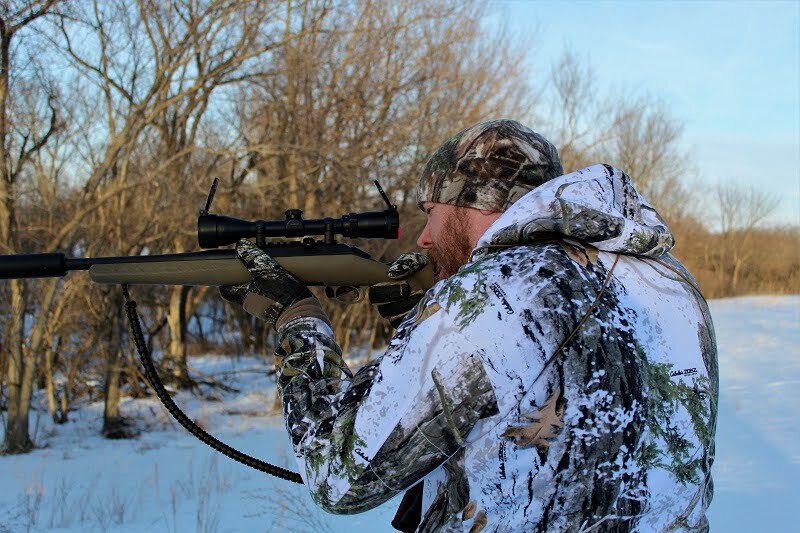 Predator hunting is challenging, but with some practice and planning, you can apply some principles to improve your predator hunting success. Practice scent control and quietly enter and exit your stand locations to reduce human intrusion. Knowing your equipment and the topography of the land allows you to harvest stubborn predators that will not commit to coming in towards your location. Alternating your calling techniques and throwing in some howls increases the confidence of potentially shy coyotes. 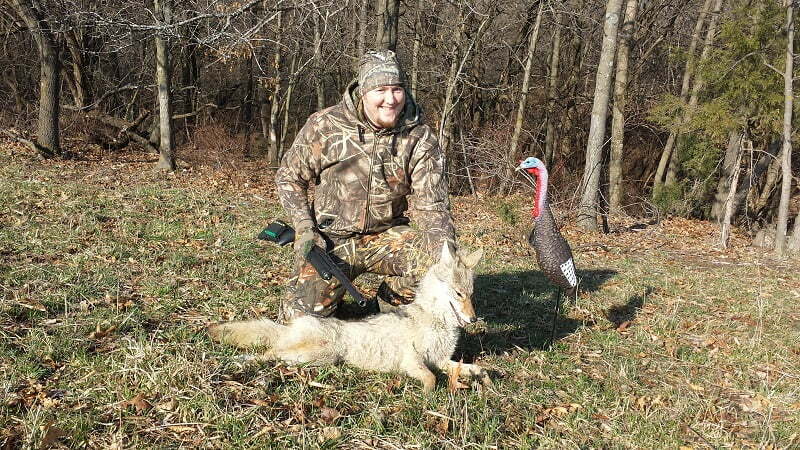 Predator hunting is an exciting adventure and will sharpen your overall hunting skills. You can comment or ask Jessica questions here. If you want to learn more about e-calling, check out Jordan Budd’s latest review here.